In case you didn’t notice there’s an epidemic happening in many peoples homes and offices around the world. It’s called stress. Make no mistake, stress is a killer. It’s a killer of time, productivity, energy, health, relationships, motivation, happiness and just about everything we love and cherish about our lives. For many people stress creeps up on them like a burglar in the night only to discover all too late that they have been robbed. Whereas others feel like their are constantly drowning in it, with no end in site. And for many the only relief they get from it is when they pass out of a night from the exhaustion of the day’s struggles. What is the main cause of stress? I had to learn about stress because at one point it was ruling my life. I lost my job, ran out of money and lived in a state of anxiety daily not knowing how I would eat the next day, or where I would be sleeping. This lasted for a very long 6 months during which time I lost all my self confidence and happy-go-lucky nature. I share this with you so you get an idea that I have first hand insight into the workings of stress. Since that time I have come to understand it a lot better, and more importantly what I can do to manage it more effectively. What I discovered is that the main cause of stress is clutter. This may sound a little strange but let me explain. 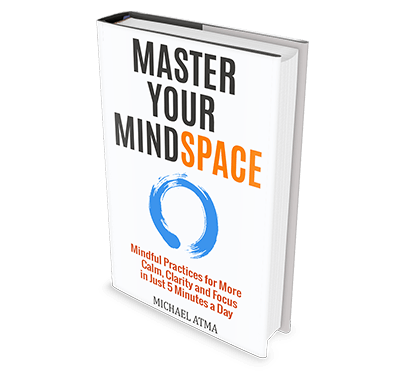 Every single thing that puts a demand on your time, energy, or clutters your environment takes up space either mentally, emotionally or physically. In other words they take up space either within us or around us. This is what I call clutter. When your mind is cluttered with too many tasks on your to-do list, that’s when you start to feel mentally stressed out. It gets harder to focus and be productive, let alone having clarity about what needs to get done. This can then result in feeling overwhelmed, which of course affects your energy levels and emotions in a negative way. The same applies to if you have too many emails sitting in your inbox, or your work desk is cluttered, or your home, garage, car, or wallet is filled with stuff you don’t want, need or care about. It all piles up energetically to give you less space to move or breathe freely in your life. When we allow clutter to build up within and around us, then it’s next to impossible to have peace of mind or calmness. The first thing to accept is that you are the only one that can clear out clutter from your life. And whether you like it or not, you are also the main cause of most of the anxiety, pressure and hurriedness you experience every day. Yes, there are circumstances that make things harder for us, but even so we have total control over how we handle stress and whether it continues to pile up or we deal with it. For me, this was the pivotal point where the penny dropped and I had my ‘aha’ moment. Once I really got that I was responsible for both the level of stress in my life and how I dealt with it, then it made it start taking back control. Mind you, I had to learn a few things about how my my mind and body worked before I began to handle stress better. This turned out to be one of the best investments in time and money I ever made. The strategy’s and skills I learned became ingrained in every thought and action that I took. So much so that I was able to then pass on my success to others so they could also get the same benefits I experienced form a virtually stress free and uncluttered life. Ask yourself this question, aren’t you dealt enough stress in life without having to heap more of it on yourself? What if many of your daily frenzied activities, deadlines and crises really were unnecessary, avoidable or could be handled in a way that didn’t create undue stress for you? 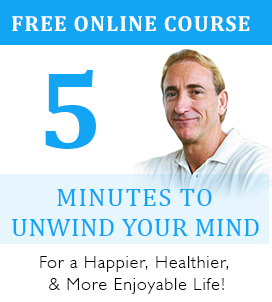 It’s time to stop the insanity and take back control of your life. Starting today. Starting now. Holding onto things that you no longer love or care about just takes up space and gathers dust. One of the simplest ways to breathe easier and feel like you’ve got more room to relax in is to give away, or throw out everything that you no longer value. Here’s a good rule of thumb. Anything that you haven’t used in the last 12 months needs to go. Clothes, shoes, books, furniture, stored items, knick knacks, jewelry, old food packets or anything at all that you no longer use or need. Places to look include your home and in all the rooms. The cupboards, the garage, old boxes, your car, office, shed, wallet, purse, handbag, just to name a few. Put aside a weekend to go through your entire house and sort out what you do and don’t need. You’ll feel enormously relieved for months and years to follow. By clearing out clutter from all your physical spaces you will create space inside you as well. Clearing out clutter from your living and working spaces will give you a renewed sense of space and freedom. This in turn will help you to feel more relaxed on the inside and better equipped to handle the challenges of daily life.